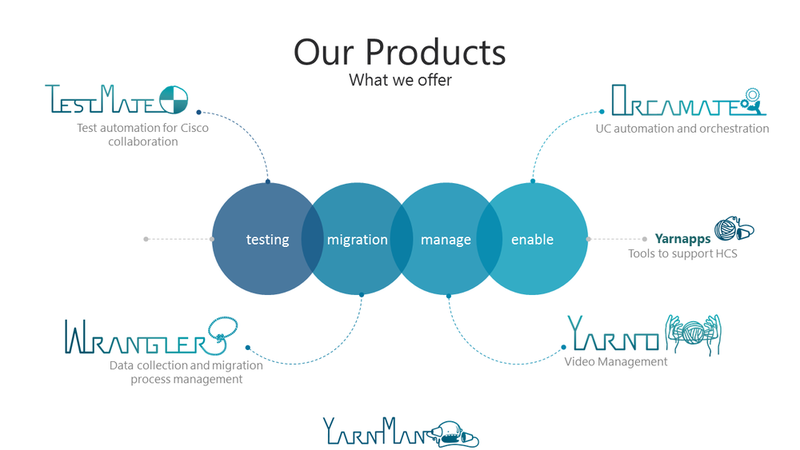 YarnLab's suite of software solutions. YarnMan is our platform that we use to deliver our YarnApps. It provides a mechanism to traverse secured and separated networks while delivering the base functionality for interaction with APIs, data persistence, reporting and interaction with real time systems. Allows you to manage and delegate the migration process, without spreadsheets! Simplify and automate data migration and then let your project managers and provisioning teams manage direct input & feedback from end users. Is a 3rd party directories service for phonebooks for Cisco Telepresence units. A holistic managed backup tool for the whole Cisco UC suite. A reporting tool powered by graylog that collects data from a variety of sources.